In June of 2007, Friends of the Barnes Foundation commissioned an Assessment Report to explore whether the Barnes Foundation, as a unified entity including buildings, grounds art collection and schools, would be eligible for listing as a National Historic Landmark. The research was conducted by Emily Cooperman of the Cultural Resources Consulting Group. The Assessment Report examined the inter-relationship of the Architecture, Education, Integration and Philosophy, Collections and Landscape of the Barnes Foundation. The Assessment Report concludes that the Barnes Foundation is eligible for National Historic Landmark status. "The Barnes Foundation Property is eligible for listing as a National Historic Landmark for its exceptional value as an unparalleled assemblage of the work of an exceptionally important American architect, manifest in a building purpose-built to house a remarkable art and object collection. This, in turn, was installed in site-specific locations in the building in order to accomplish the groundbreaking integrated education program, which both manifested the thinking of and had the direct involvement of John Dewey. The character-defining features of the property include its building, arboretum, and art and object collections as installed, which have played a key role to the present in the educational program of the Foundation established at its inception in 1922. In its current state, the property retains the high level of integrity requisite for National Historic Landmark listing." "The character-defining features and contributing elements of the property include the buildings, the arboretum landscape, and art and objects collections as installed, which have played a key role to the present in the educational program of the Foundation established at its inception in 1922." "The property retains all of the requisite aspects of integrity, including location, design, setting, materials, workmanship, felling, and association." The National Park Service has responded to the preliminary assessment of the Barnes Foundation for National Historic Landmark status, saying that it would "be please to consider the NHL eligibility of this resource (the Barnes Foundation)." An application requires the approval of the Barnes Foundation Board. 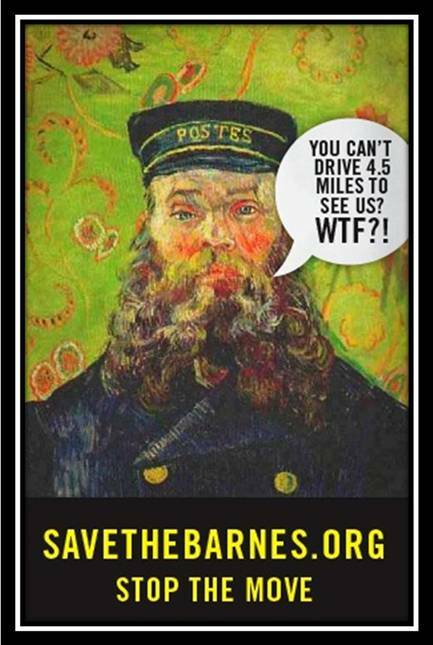 As of March 1, 2008, the Barnes Foundation has taken no action in pursuit of National Historic Landmark status.